Wild West Adventure Offered In Cartersville, Ga.
Make downtown Cartersville your first stop for a Wild West adventure in the sunny South. The Booth Western Art Museum is the only museum of its kind in the Southeast, and it houses the largest permanent exhibition space for Western American art in the nation. The museum’s award-winning film, “The American West,” provides guests with a foundation for understanding how the Western frontier began with the onset of the Civil War. Once primed to see America’s story, guests begin their journey through galleries featuring contemporary Western artists and modern masters. America’s canvas is completed by the James and Carolyn Millar Presidential Gallery, which uniquely displays a portrait and signed personal document from every American President. Also in downtown, find the nation’s only known monument to friendship, erected by a debtor to his creditors. Mining mogul Mark Cooper established the Etowah Manufacturing and Mining Company in the 1840s along the Etowah River just outside modern-day Cartersville. When his partner bailed on Etowah Railroad Company, Cooper’s empire was auctioned. With the help of 38 friends who endorsed a $200,000 note, Cooper saved his companies and paid the note in just two years. Indebted in loyalty, he honored his 38 friends and creditors by commissioning the Friendship Monument in Etowah. Another unique Cartersville find, drawing visitors from across the globe to Tennessee Street (US 411 north), is Old Car City USA. More than just the world’s largest known classic car junkyard, Old Car City USA has revived itself as a photographer’s paradise. Unique finds here include 4,000 rare and rusty classic cars displayed along six miles of trails, plus Elvis’ last automobile, a collection of original folk art, and an ever-growing display of owner Dean Lewis’ Styrofoam cup art. Stop in from 9 a.m.-4 p.m., Wednesday-Saturday to see this wonder for yourself. While in town, Taste the Feeling outside of Young Brothers Pharmacy where you will find the world’s first Coca-Cola outdoor painted wall advertisement. A syrup salesman painted the downtown sign in 1894 on the side of the pharmacy; the sign was then restored and authenticated in 1994. This is a must-see site for photographers and Coca-Cola collectors. The pharmacy also carries a wide variety of Coke memorabilia and collectibles. Between adventures, refuel at hometown favorite—4-Way Lunch—on Main Street. This iconic diner has been a mainstay since 1931 and, believe it or not, they’ve never installed a telephone. Specialties include chili or gravy-covered burgers and hot dogs. And slap a peach pie on the grill for dessert. For more “Only in Cartersville” tips, call the information specialists at the Cartersville-Bartow Convention & Visitors Bureau 770-387-1357 or check out VisitCartersvilleGA.org. Conveniently located 45 miles north of downtown Atlanta via I-75, with a friendly population of just over 20,000, Cartersville-Bartow County embodies small town charm with a “Cowboys and Indians in Georgia” vibe, welcoming visitors to embrace its Southern hospitality coupled with unexpected big city offerings. The Booth Western Art Museum, within walking distance of downtown, highlights Western art as well as touring exhibits of Ansel Adams, Saturday Evening Post Cover Art and photography from National Geographic, to name a few. 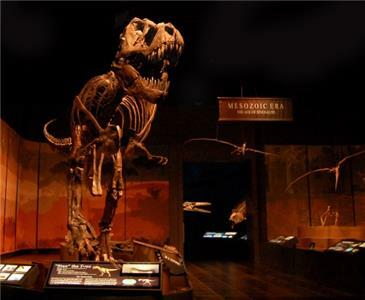 The Tellus Science Museum, which has hosted well over one million visitors since opening in 2009, also finds a home in Cartersville, which is the smallest town in the nation to play host to two Smithsonian Affiliate museums. For those on a hunt to find the quirkiest roadside offerings, Cartersville delivers with Old Car City USA. Billed as the world’s largest known classic car junkyard, the attraction has evolved into 34 acres and six miles of rusty gold, finding new appeal in the photographer’s lens. Other oddities onsite include the owner’s extensive Styrofoam cup art displays, folk art paintings and Elvis Presley’s last automobile. Cartersville is also home to the World’s First Coca-Cola Outdoor Painted Wall Advertisement. Sports-lovers know Cartersville for its world-class LakePoint Sporting Community, featuring several venues for athletic competition. LakePoint is ever-expanding as the southern home of Perfect Game Baseball. Thrill-seekers of all ages and skill levels will enjoy wakeboarding at Terminus Wake Park. Visitors can continue active pursuits and satisfy cravings for outdoor excursions with kayaking trips or fishing adventures along the Etowah River and hiking miles of trails at Pine Mountain Recreation Area overlooking Lake Allatoona. Red Top Mountain State Park is a natural vacation retreat where guests can enjoy free Mountain Music and boat rentals at Park Marina, plus ranger-guided events in the park’s Outdoor Classroom. Exploration continues with historic sites like Rose Lawn Museum—a beautifully restored Victorian mansion once home to renowned evangelist Samuel Porter Jones, for whom Nashville’s Ryman Auditorium was built—and the Bartow History Museum. Visit Etowah Indian Mounds State Historic Site, a major Mississippian Period Cultural Center that was home to several thousand Native Americans from 1000 to 1500 AD. More stories abound with the area’s poignant Civil War sites including the Allatoona Pass Battlefield, Kingston, Cassville and Historic Adairsville–listed in its entirety on the National Register of Historic Places. Georgia’s first state park for African Americans–George Washington Carver Park–is just one site along the area’s African American Heritage Trail, which also includes Noble Hill–north Georgia’s first Rosenwald School–and the Euharlee Covered Bridge built in 1886 by African American craftsmen Washington W. King. Rest easy between adventures at any of Cartersville’s upscale accommodations or relax in luxury at beautiful Barnsley Resort, a storybook setting whose pages reveal a compelling true story that reads like fiction. Refuel at your choice of the 14 chef-owned-and-operated restaurants in historic downtown Cartersville. Regional favorites include Table 20, Appalachian Grill, and two recently tapped by Georgia Eats as “100 Plates Locals Love”–Swheat Market, and Maine Street Coastal Cuisine. Or, stage your own foodie competition to determine which downtown multi-generational lunch counter–4-Way Lunch or Ross’ Diner–serves up the best burgers and dogs. Pair this with great art galleries, boutiques and other only-in Cartersville finds for one great eat-and-repeat destination. www.VisitCartersvilleGA.org.